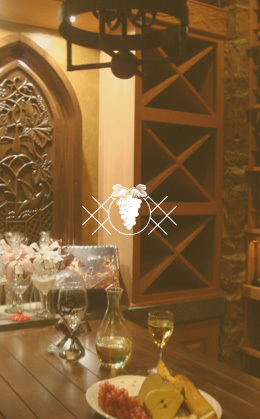 Safeguard, store and showcase your wine collection with the handcrafted cellar of your dreams. Distinctive Wine Cellars wine storage systems provide a unique, distinctive design that maximizes capacity, while preserving and displaying your wine for long-term storage. 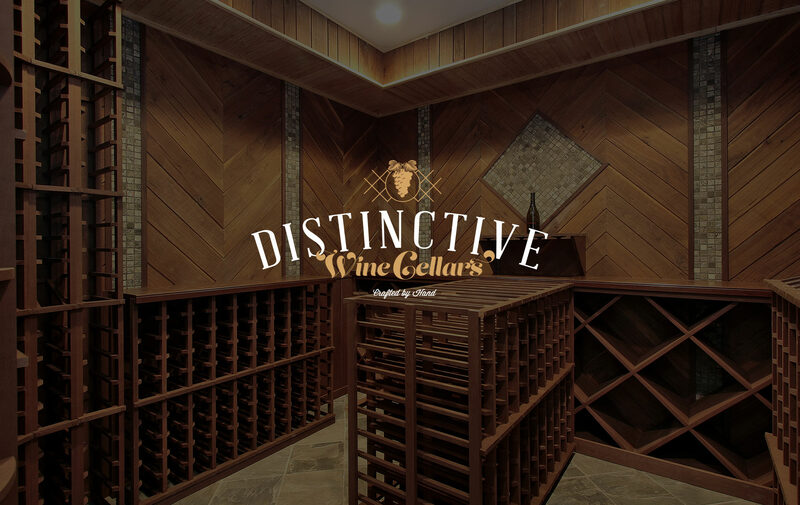 True craftsmanship is alive and well at Distinctive Wine Cellars. Skilled craftsmen work to exacting standards to create some of the most beautiful wine cellars in the world. They have helped us fixture both our stores here in Indianapolis with excellent results. My installer used to do installations for “another” rack manufacturer. He continues to point out the subtle, but significant differences between their products. DWC’s bottle supports are more substantial to provide a better cradle for your bottle (and are angled to look better), there are more horizontal spacer bars (every 3 rows) to better distribute the weight of bottles, every ladder/post/bottle support has an eased edge, racks are put together with nails (instead of staples) and the quality of the wood is higher quality and more consistent. These things really make a difference in the look of your cellar. 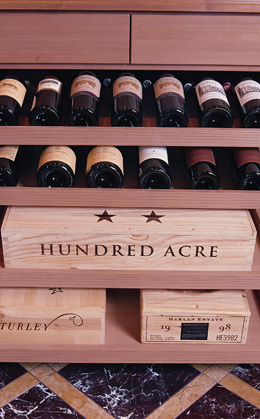 Distinctive Wine Cellars and I have been business partners for over 10 years. Their fit finish is unparalleled in the industry. But most importantly, it is a joy to work with a company that listens to our very specific needs and delivers a product that always meets or exceeds the expectations our demanding designs. They truly understand what custom means, and at the same time offer suggestions and innovations that save us time and money.